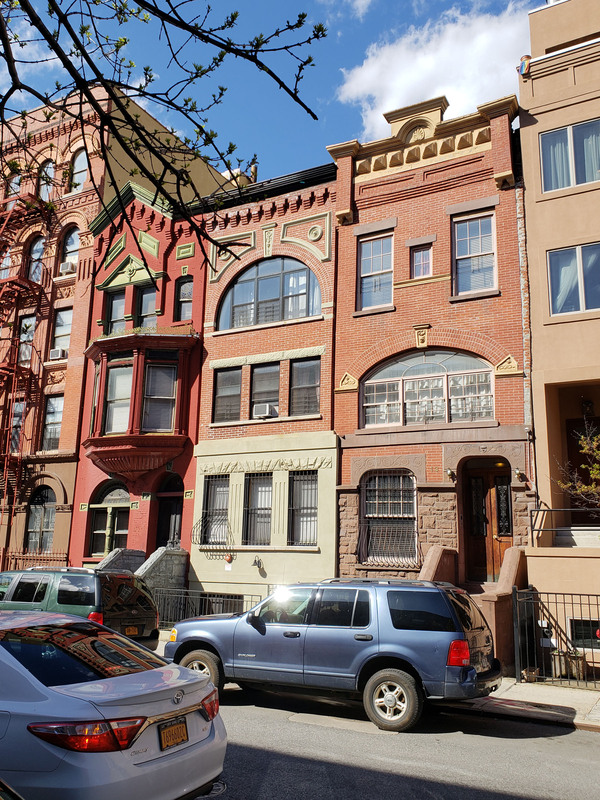 A whimsical trio at 13-17 West 131st Street: abstracted Queen Anne details create architectural “faces” at the upper levels overlooking the sedate brownstones opposite. 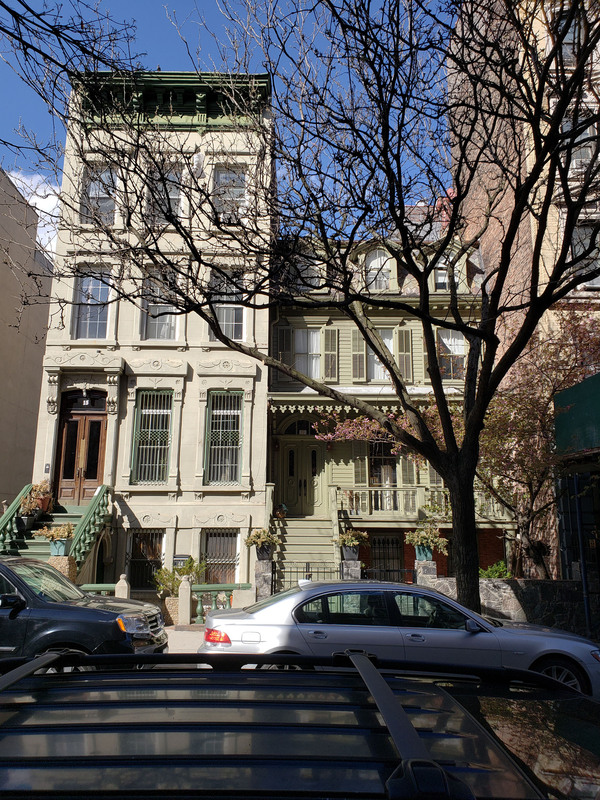 15 and 17 East 128th Street are a charming pair of neighbors, with the former’s Italianate detailing a catalogue of Neo-Grec effects and the latter surviving as one of New York’s earliest surviving houses in the French Second Empire style. 2069 Fifth Avenue is a striking terra-cotta clad townhouse that brings a burst of cranky Victorian exuberance to the neighborhood. 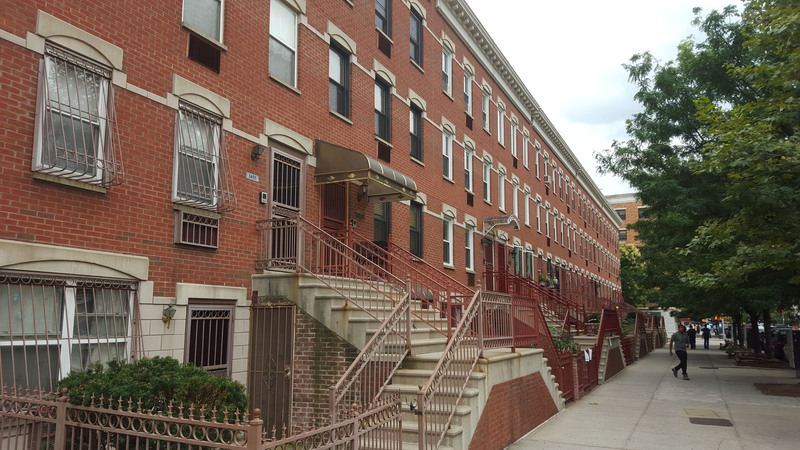 The dentilated brickwork of the off-center pediment is particularly eye-catching. 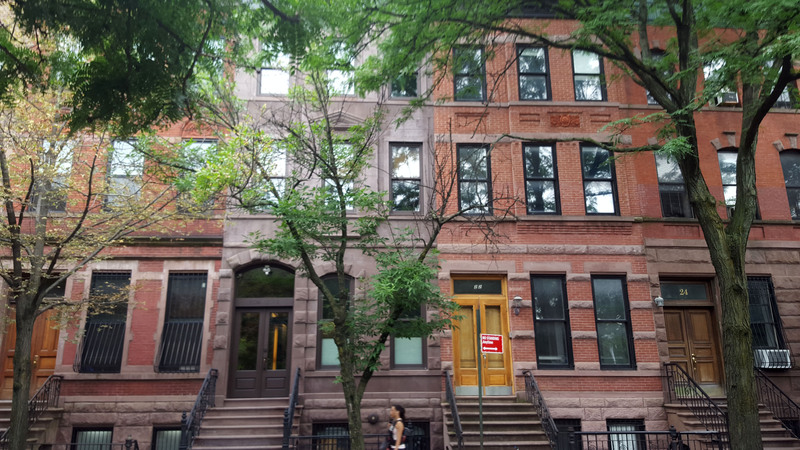 The townhouses that line 12-24 West 120th Street were probably erected as a speculative development. 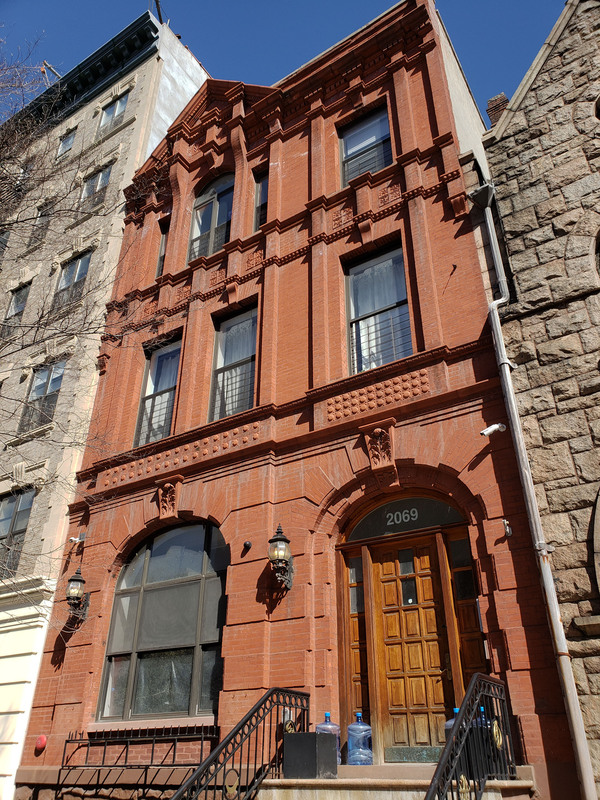 Built with red brick and brownstone trim, the style is an eclectic mixture of Neo-Grec and Queen Anne details.